What makes an exceptional lawn stand out is the amount of care that you give it regularly. At Springfield Gardens, Lawns & Landscape, we are always ready to provide all kinds of lawn maintenance services that will suit your particular needs and budget. Few homeowners remember to pay attention to the soil compaction on their lawns. Over time the soil in your lawn become compacted which makes it difficult for grass to establish deep roots and nutrients to reach those roots. This results in a shallow root bed and an unhealthy lawn. Aeration is the most effective way of dealing with soil compaction, as it literally frees up the soil around the root system of your turf grass to allow air, sunlight, water, fertilizers, and other nutrients deep into the ground. 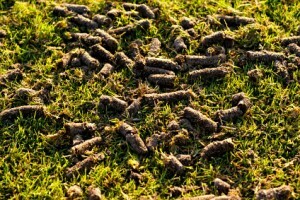 Aeration is a simple process: you take out small plugs of existing soil and deposit them on the surface. When the soil around your roots are loosened, the roots have more room to grow and expand, thus helping your plant take in more of the necessary nutrients to sustain its lush and verdant growth. This is especially important during the summer. A more expansive root system will allow your plant to go deeper into the soil, where it is cooler and moister, and thus support greenness even during hot summer days. Moreover, aeration brings up microorganisms to the surface. As these microorganisms burrow back to the lower levels of the soil, they break up the thatch layer that accumulates on the topmost level. To speed up this process, it is best to provide a light topdressing of fresh soil to further aid the decomposition of the thatch layer. Finally, the aerator holes create a moist and protected environment for seedlings. The seedling process is usually done in the fall, right after aeration or verticutting. By sowing seed after your fall aeration schedule, you can guarantee the most seed-to-soil contact, an element that is critical for proper seed germination. This is best for filling in areas of turf damaged by stress brought about by summer, diseases and insects. Moreover, you can also closely follow the natural life cycle of most grasses, which go to seed during summer and then germinate in the early fall. This increases your chances of getting the best, most vigorous stands with the least competition from weeds and insect. You also avoid the chances of newly seeded grass from getting burnt in the hot summer months therefore improving the lawn’s appearance. Give us a call now at (417) 882-7800. Sp ringfield Gardens, Lawn & Landscape will help you take care of your lawn. Our staff is comprised of the best professionals in the field.